License: IMPORTANT: This is a commercial product made by AndrewP. It cannot be modified for see more other than personal usage. The "personal usage" means the product can be installed and set up for ONE domain name ONLY. To be able to use this product for another domain names you have to order another copy of this product (license). This product cannot be redistributed for free or a fee without written permission from AndrewP. This template is compatible with Dolphin 7.1.x - 7.3.x ! 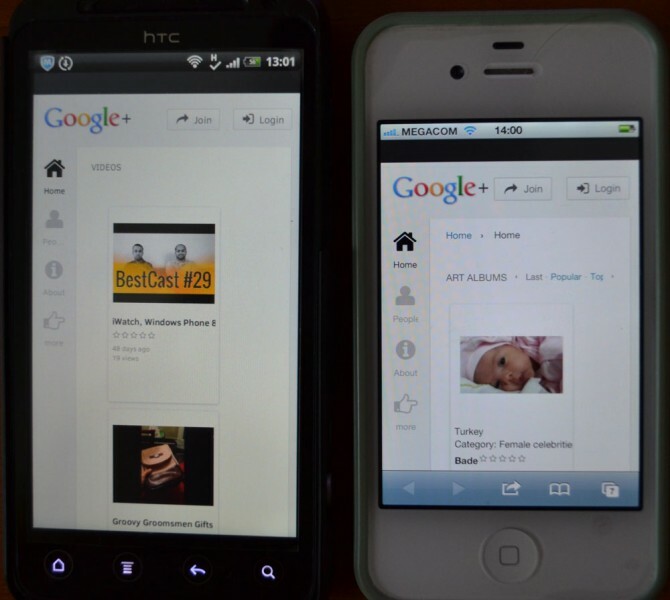 G+ theme is now responsive! And if you have some questions feel free to ask. An easy 5-Star Design Here....Andrew knocks this one out of the ball park! Grand-Slam Home-Run! 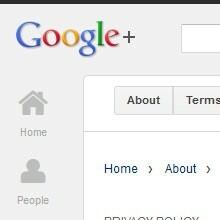 I am so glad he moved beyond "Considering a Google+ Theme Design" to "It's Ready for testing"....10 minutes navigating this design and I was sold! 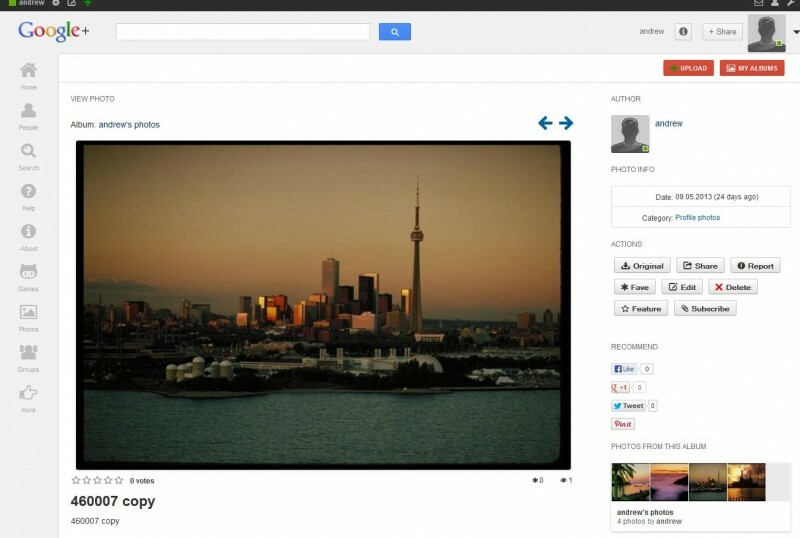 Here's Why- not too long back, I was playing with my Google+ Profile and kept thinking "Man! This is something that actually makes sense....they have all these modules, yet everything is easy to navigate, it's not cluttered- it's well see more organized....Not to mention- they use ALL the available screen area nicely....what an awesome layout! I wish we could do something like this for our site and members." Know the people you do business with, especially when it comes to buying code....ANYWHERE on the web. Andrew is a straight-forward, nice guy, who's personality and his work speaks for themselves. The first to offer Responsive Designs here, I hope to see more from Andrew, and I hope to see more designs similar to this which follow after layouts which have already proven themselves successful on the web. Do you offer your members more features thru module? Have you avoided using or adding modules because more modules make it difficult to or confusing to navigate and design a clean clutter-free layout? Do you want something more members and visitors can pick-up easily or will instantly feel familiar with? Surely you want something that's going to have good support? Do you understand the benefits of working with a Developer-Designer who offers many incredibly useful modules AND Designs Templates? How about a developer willing to work with other developers- developing modules to specifically be compatible with other modules offered by other third-party module developers? A developer who looks at all the incredibly gorgeous Word-Press templates out there and says- "Sure- We can make that work for Dolphin". I can think of many great developers/designers here at Boonex, but if I think of all the great developers here and ask myself- "Who am I most sure of can do anything I want them to do for my site....module-wise and design-wise?" Andrew tops that list....no question. If I'm to guess- Others who have worked with him would likely agree on that as well. If you don't know Andrew yet- Send him a message....Just to get to know him, his products, or to make a buy...I'm sure your message will be well-received. I strongly recommend to buy this item or any item provided from this vendor. + what UnderDog4All commented here about this product and its developer.